Across the globe business are utilizing the immense power of social media to promote their services, and if you are in commercial real estate it’s definitely time you do the same for your #CRE business. Through the strategic use of social media #CRE firms and individual Brokers can dramatically expand their business, increase their visibility and grow their customer base. All roads that lead to one place…the promise land of profits. To help establish the social media presence of your #CRE business, or to strengthen current efforts, we at Rosano Partners have created a four-part series dedicated solely to social media marketing. Over the next few weeks we will share our best tips and resources for using Twitter, LinkedIn, Facebook and Instagram to promote your #CRE business. Make sure to follow our blog so you don’t miss out! In today’s article we will focus on how to best use Instagram to promote your #CRE business. 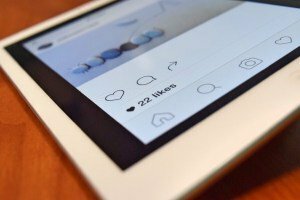 As a #CRE firm Instagram is one of our favorite platforms for a very important reason – it’s simple, easy to use and (best of all) is not a time drain. 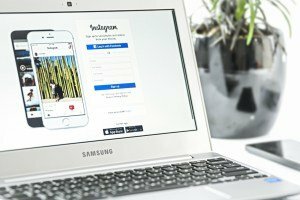 Unlike its Facebook and LinkedIn counterparts, Instagram is a very straightforward social media platform with limited functionality, but tons of potential. Utilizing the K.I.S.S. method, functionality is confined to a profile with basic, limited information and the ability to post images. Set-up on Instagram is easy and using it is even easier, so throw out those “I have no idea what I am doing on social media” thoughts and keep reading for some specific ways to take your #CRE marketing to the next level. From promoting listings to introducing new services to announcing common area maintenance projects, Instagram is a fantastic way to market your #CRE business. Here we share how to set up a Business Profile and share our tips for utilizing the newest functionalities recently added to the Instagram platform. Setting up a business profile is quite easy, but to take out any confusion Instagram has offered up this straightforward and user-friendly video to show you how. In February of this year Instagram rolled out Carousel, a cool new feature that seems tailor-made for a #CRE business or Broker. Instead of only being able to share one image, Instagram’s Carousel feature now allows users to share up 10 photos and videos in a single post. * Marketing a single property by providing multiple photos or videos (think virtual tours). * Showcasing multiple properties in a single MSA, district or by product type, or marketing property portfolios. * Excellent use for tenant communications, providing info on upcoming events or construction projects. It can even be used as a tutorial for any new programs that are being introduced. * A great tool to introduce new team members or to provide an “About Me”, laying out skills and background information in a slide format. Want a step-by-step guide on how to use this new feature? Check out this article from our friends at Social Media Examiner. If you want more information on how to get started, how to set up ads or how to use various features, visit the Instagram Business page. Here you will find tons of fantastic resources to drive you towards social media superstardom. Beck Partners Among the 2017 Florida Companies to Watch Finalists!Our “New York Course” is now available as a Self Study product!